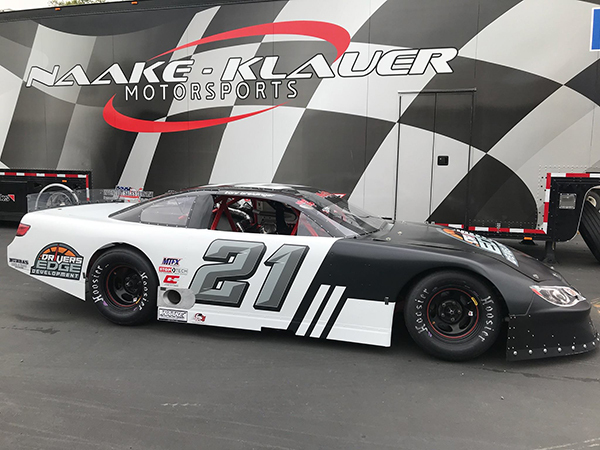 HILLSBOROUGH, CALIFORNIA (April 2, 2019) – Toni Breidinger’s quickly growing stock car schedule will include a full-time campaign in Madera Speedway’s MAVTV-televised Pro Late Models, the 19 year-old announced today. Breidinger will drive the #21 Chevrolet for Naake-Klauer Motorsports as USAC’s all-time winningest female continues to move up the stock car ranks. Her 2019 season will see a combination of nine races on the West Coast for Naake-Klauer Motorsports and nearly a dozen races on the East Coast for GMS Racing. She is slated to be a 2020 member of Driver’s Edge Development as well. She will also compete in her family owned Midget for the POWRI/BCRA Series at Madera, also televised. Breidinger holds her place in the USAC history books with 19 pavement victories. She was the runner-up in the 2014 and 2015 USAC Western US Midget Series pavement standings before winning the championship in 2016. In 2018, she made three starts in the ARCA Menards Series with one top-ten finish. Breidinger added a mix of Midget, USAC Silver Crown, and Pro Late Model appearances on top of that. Her best Pro Late Model finish to date was a fourth place effort at Roseville’s All American Speedway in November. She was also a finalist for competition in the W Series as well. Naake-Klauer Motorsports is one of the most successful programs in the Western United States, led by owner Mike Naake. Their resume includes two Jr. Late Model championships at Madera with nearly 10 Jr. Late Model wins. They also earned the Rookie of the Year in the Pro Late Model division in 2018. Major events at Madera include the $5,000 to win Summer Speed Fest in July and the $10,000 to Short Track Shootout in October. The series averages more than 30 entries per event with all nine races aired on a tape-delay basis on MAVTV.